In honor of Mother's Day, I took my puggle to the dog park. While making small-talk with other fur-parents, I met a retired teacher and another woman who retired from private industry and now works as a substitute teacher. Both women were amazed by my enthusiasm and asked how I stay so optimistic despite working in an urban area and being affected by the political climate surrounding education. My answer: I keep my focus on the things I can control. Now, I am not about to write a blog post pretending that the latest round of education reform doesn't at least scare me a little. I too get annoyed by paperwork, mandates, endless meetings, mandatory PD sessions and those one or two students that are determined to ruin my lesson for the entire class. Despite the fact that these things frustrate me, I have very little control over most of them. Don't like the current education reform laws? Just wait a few years. You show me a career educator and she can show you dozens of political mandates that have fallen by the wayside. My principal may dictate that I have to attend a meeting, fill out paperwork, or participate in a PD session, but I know that all that is coming from higher up. I just smile and cooperate. Those one or two students that just don't want to learn? Under state law they are entitled to an education and teachers have been dealing with that issue for centuries. Rather than focus on them, I focus on the students that do want to learn. I create lessons that make them think and I help mold character. I rejoice when students become so interested in a topic that they independently seek out opportunities to learn more and listen when they tell me that I should re-consider teaching a certain topic again. I encourage students to become the first in their family to attend college and then smile when I run into them later on in life and learn about their success. I feel privileged to have an impact on young lives and know that while the public may think higher of me if I pursue private industry, only education offers the opportunity to truly make a difference. I echo your thoughts. 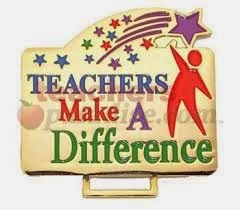 I get through my day and the politics of education by focusing on my students. They are the main reason we do what we do.